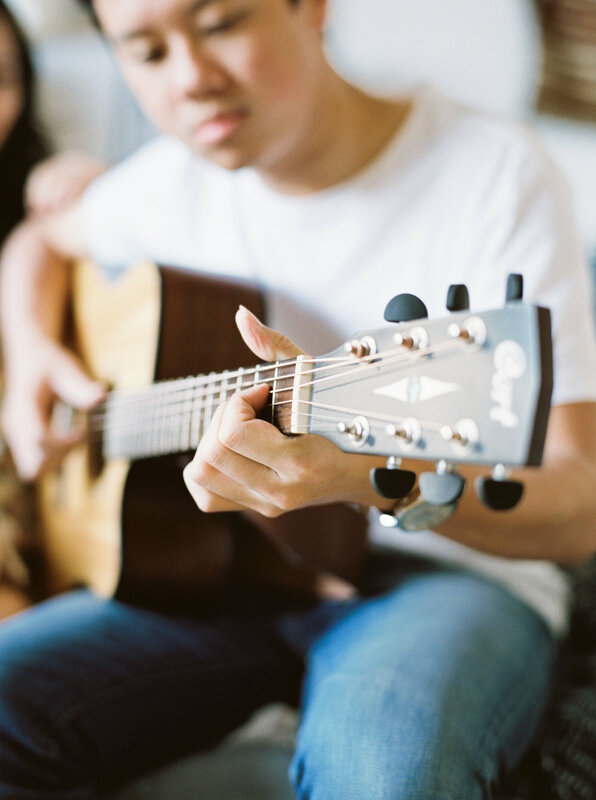 Do you ever wish your partner could play you soft romantic melodies with an acoustic guitar? Jo is one of the lucky ladies here. 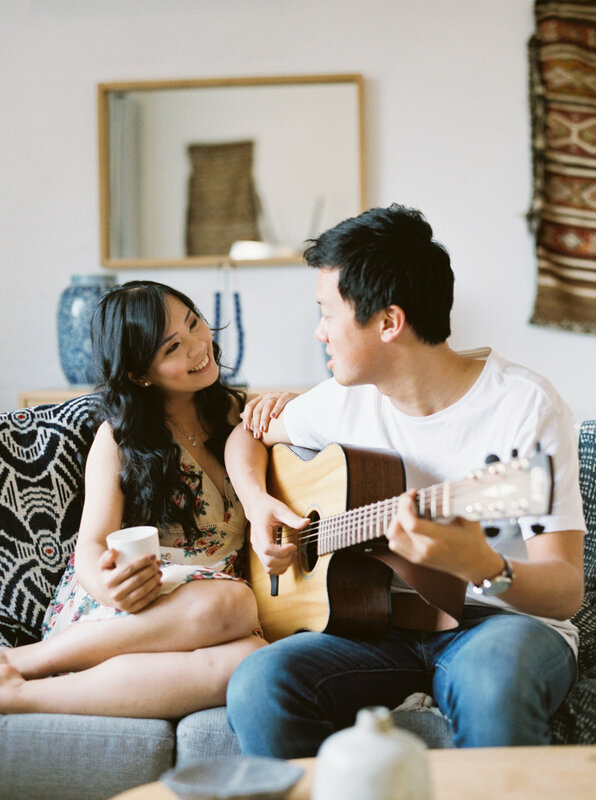 The morning of their shoot unfolded perfectly, Jo sipped on coffee while Dylan played soft and romantic Acoustic melodies to her on his guitar. 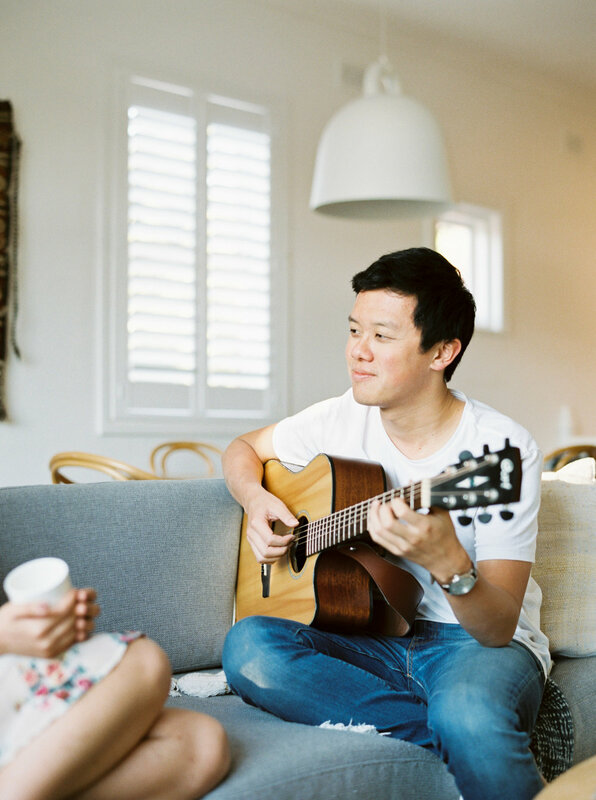 The perfect setting and vibe for an intimate lifestyle session. A little more about Jo and Dylan. Jo and Dylan reached out to me wanting to have their love story documented in the city they had so many memories together in. Newcastle NSW, Australia. 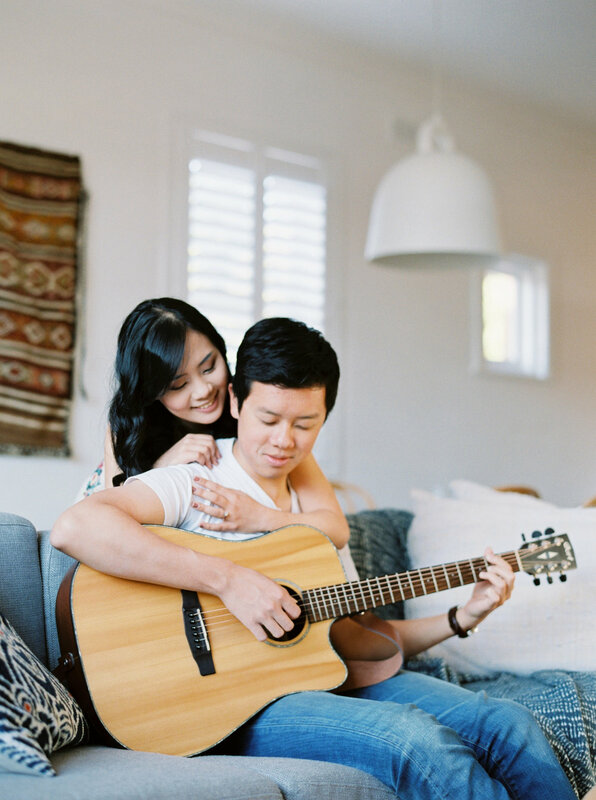 They live and meet in Singapore but went to UNI together in Newcastle NSW. 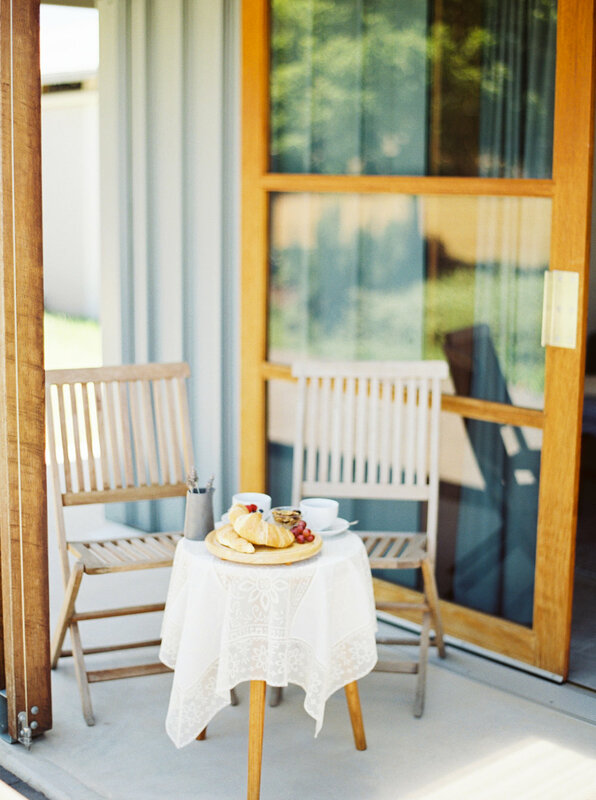 This was a sentimental place for them as they shared a lot of good times here together while their love blossomed. 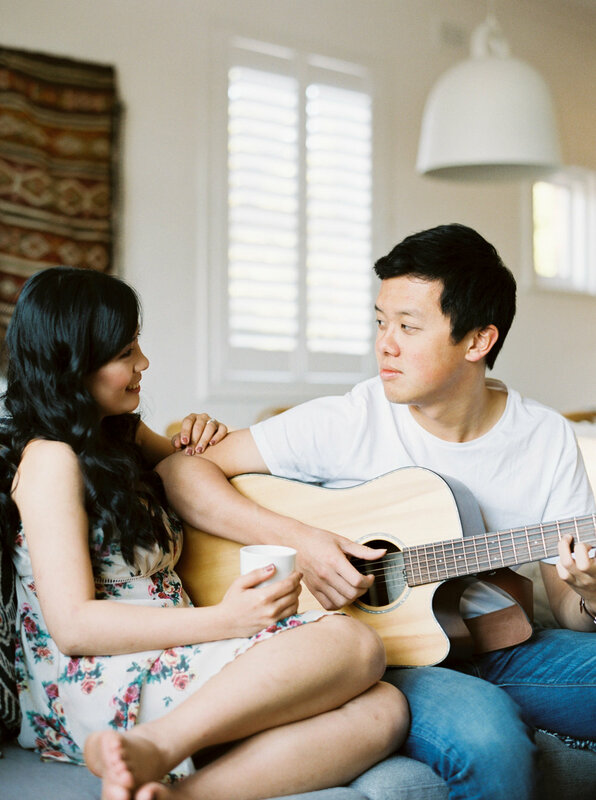 Jo flew in from Singapore the week of their session as Dylan is currently studying in Sydney still. It was an incredible day spend with Jo and Dylan. Such an amazing, sweet and kind couple. 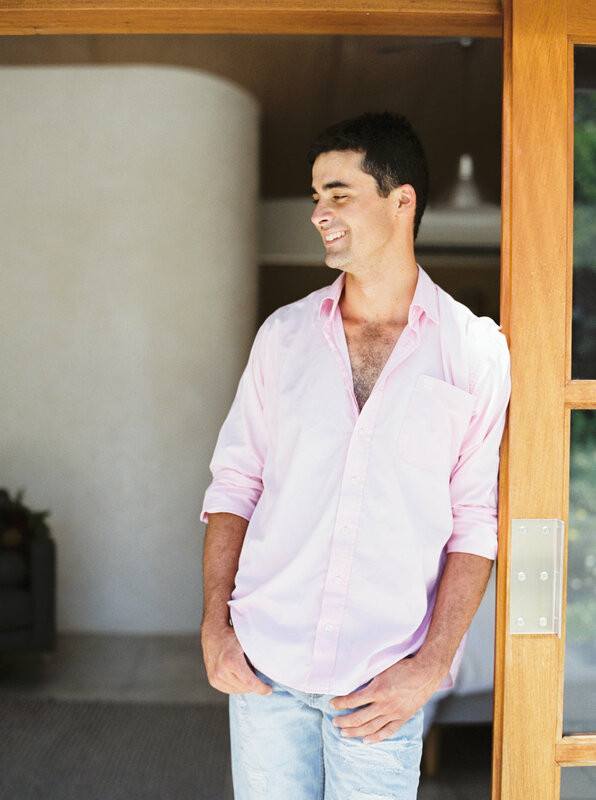 "Dylan and I were searching tirelessly for a photographer to take out pre wedding photos in Sydney and we finally found what we wanted in Sheri McMahon. Our hearts were won over by her beautiful film photography work, her impeccable personality and seamless communication. She was absolutely amazing from start to finish. Profession, efficient, friendly, engaging, and most importantly, took the most fabulous photographs. For our lifestyle shoot, Sheri made the whole process enjoyable, natural, and FUN!! She was really a joy to work with. She also went out of her way to get us a white gown for the formal shoot and scouted the location beforehand to get the best views and natural lighting - excellent effort and dedication. Dylan and I had a sneak peak of the photos couple of days later and we could not be happier with the job that she did. Amazing doesn't even come close. Some truly beautiful moments captured. Thank you so much, we would definitely recommend!"